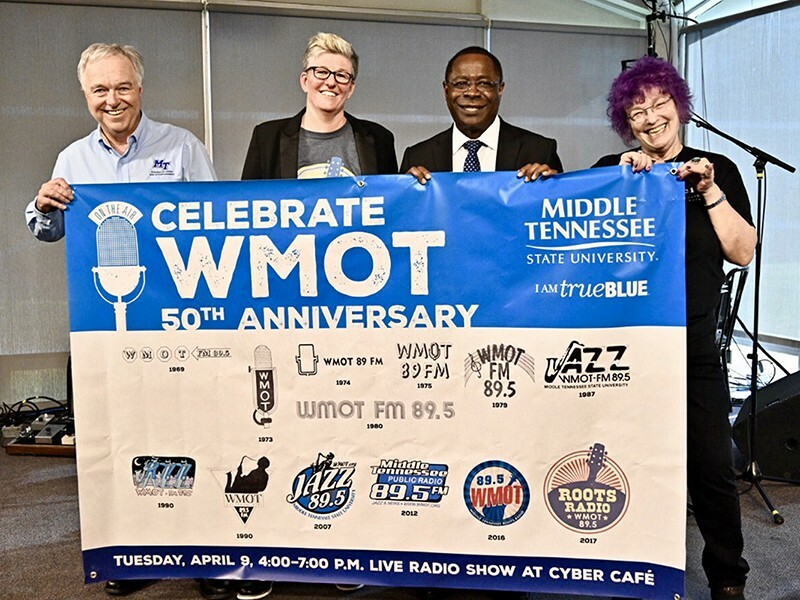 It went live 50 years ago today as a student-run "educational radio station," and MTSU's WMOT-FM Roots Radio 89.5 is still focusing on informing its audience about great music and local, national and international news. MTSU President Sidney A. McPhee applauded WMOT's staff for its dedication in shepherding the station through periods of transition over the years, including its most recent switch to Americana music, the brainchild of Ken Paulson, outgoing dean of the College of Media and Entertainment. "We take the education of our students seriously and we're committed to make sure we provide the best resources and the best experience that will … help us to continue to grow as one of best programs in the country," McPhee told the crowd. "WMOT is still alive and doing exceptionally well." The special set from 4 to 7 p.m. featured live sets by indie-folk artist A.J. Croce, Memphis roots rocker Liz Brasher and soul country songwriter Adam Wakefield, with introductions from WMOT host Jessie Scott. Along with the audio on the radio station, video livestreamed here. WMOT-FM began April 9, 1969, as a 780-watt mixed-format rock station broadcasting out of MTSU's Dramatic Arts Auditorium to the campus and adjoining neighborhoods. National Public Radio was created in 1970, and WMOT became a charter member. 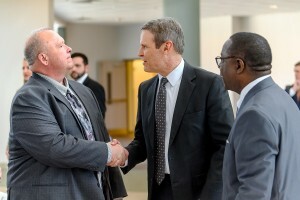 Val Hoeppner, executive director of the station who also directs the university's Center for Innovation in Media, said the celebration was not only a tribute to WMOT, but also to public radio's origins with passage of the Public Radio Broadcasting Act of 1967 and its emphasis on education. 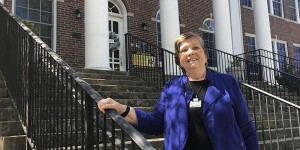 "Through the years we've revised our mission statement to better reflect who we are and how we serve our community," she said. 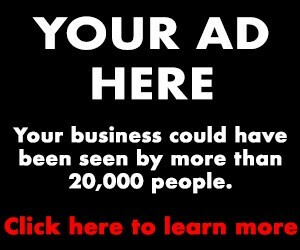 "Today we champion music discovery, music experiences and building community around Americana music." WMOT moved into its longtime headquarters in the McWherter Learning Resources Center when that facility opened in 1975. In 1980, WMOT became Tennessee's first radio station to use satellite broadcasting. Two years later, it debuted its all-jazz format. In 2009, WMOT added news and talk programming to its format and in 2011 began airing classical music on weekdays. It moved into the new Bragg Media and Entertainment Building in 2012 as part of MTSU's Center for Innovation in Media, which put WMOT and the student-run newspaper, TV station, radio station and record label under the same roof. 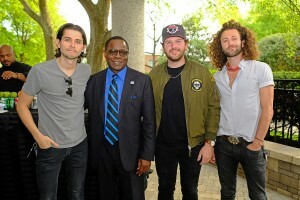 Paulson noted that WMOT's success has led to expanded usage of the Cyber Café as a weekend venue to showcase singers and songwriters. 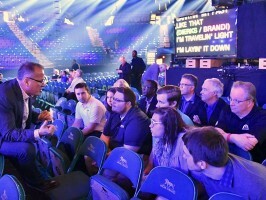 "When you have success with something like WMOT, other good things come with it," he said. WMOT is currently the region's only Americana music channel and has been an active partner in the Americana Music Association's annual AmericanaFest celebration, sponsoring live shows, the event's official viewing party, simulcasts and live streams and more. 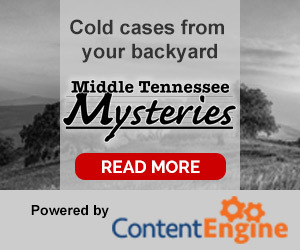 WMOT features original Americana programming and is dedicated to music most connected to Nashville's legacy: classic country music, bluegrass, singer/songwriter, folk, soul, R&B and old-school rock 'n' roll.